CME is focused on helping companies scale up their operations in Canada and abroad by removing barriers to growth, and by lowering the cost and risk of investing in new machinery, equipment and technologies. Successful companies are growing companies. 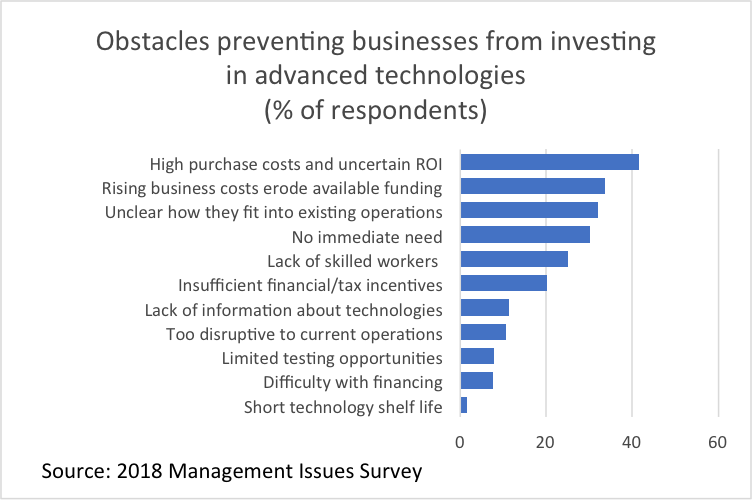 A business environment that supports growth and investment in new technologies helps you become more productive and innovative, lowers your production costs, and improves your ability to compete at home and abroad. Other tax and regulatory issues also limit growth potential in manufacturing. These include long project approval timelines and regulatory uncertainty around major resource developments. 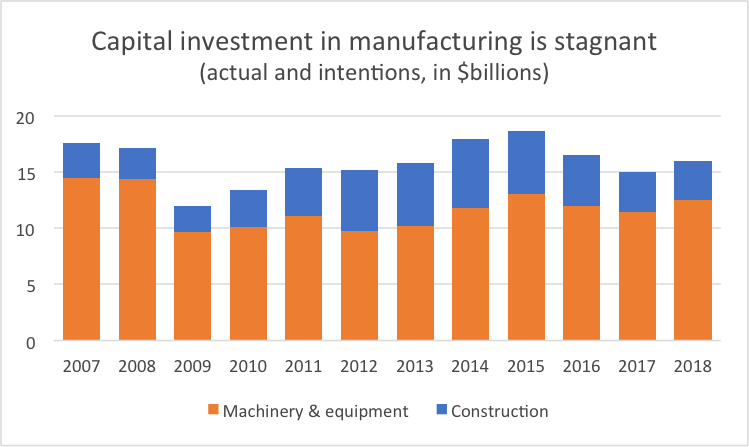 Encouraging business investment in new machinery, equipment and technologies is key to unlocking productivity gains, improving global competitiveness and reducing manufacturers’ environmental footprint. CME believes that implementing a pan-Canadian SMART program is an important step in achieving this goal. Supporting investments in new technology and process and productivity improvements. CME is advocating for a pan-Canadian version of the former Ontario SMART program. Its goal would be to improve the competitiveness of the manufacturing supply chain, achieve cost savings and enable new investments for Canada’s manufacturing sector. As the federal and provincial governments unroll their plans to price on carbon emissions, CME believes that the revenues collected from manufacturers should be returned to the sector through incentive programs to invest in new machinery, equipment and technologies. Based on its success in Ontario, a national SMART program would be an important step in that direction. Modernize and enhance the federal SR&ED program.